Come cheer on our Volleyball team at the State Championship Game! Come cheer on our Volleyball team at the State Championship Game! 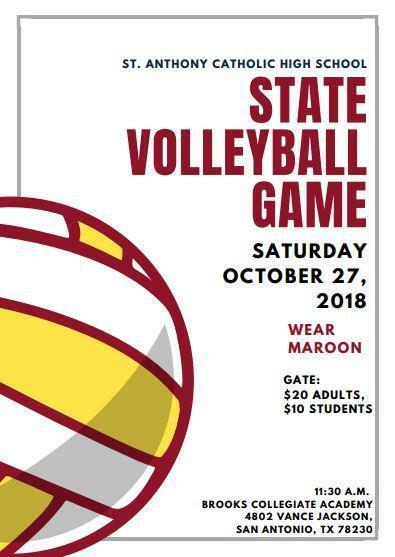 Don't forget to wear your maroon!